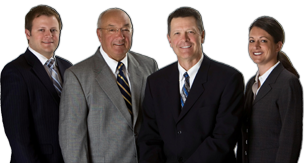 Motorcycle Accident Lawyers Serving Central Wisconsin | Tlusty, Kennedy & Dirks, S.C.
Central Wisconsin provides plenty of scenic roadways for motorcycle and moped enthusiasts. 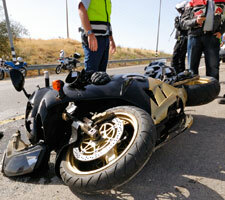 Unfortunately, motorcycle accidents can result in severe injuries, expensive medical bills and death. Don’t let a motorcycle accident threaten your family’s economic security — call the motorcycle injury attorneys at Tlusty, Kennedy & Dirks, S.C. Speak to a personal injury attorney before you speak to an insurance adjuster — adjusters are trained to ask questions that benefit the insurance company, not you. Insurance companies’ first settlement offers are designed to pressure you into settling early, before you are aware of the extent of any long-term injuries. Our personal injury attorneys have many years of experience representing the rights of motorcycle accident victims and understand how insurance companies work. Pursuing an insurance claim can be expensive, so our central Wisconsin personal injury firm covers the court and case-related expenses during your recovery period. Once a settlement is reached, we recoup our expenses.